How much does it cost to rent an apartment in Russia’s capital? 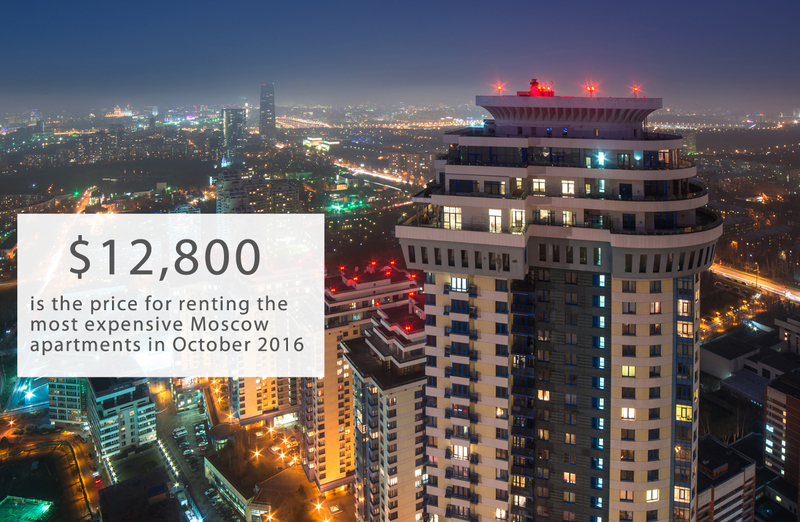 In October 2016, the most expensive apartment for rent in Moscow is in a modern complex on the west side of the city. Encompassing 3,122 square feet, furnished with expensive furniture and equipped with a 300-foot terrace, the owner is asking 800,000 rubles ($12,800) per month, according to the INKOM-real estate company, writes Lenta.ru. Second place on the list of most expensive Moscow apartments is a 3,445-square-foot residence on Ostozhenka Street, priced at 750,000 rubles per month ($12,000). The apartment has three bathrooms and five bedrooms. The cheapest apartment for rent is located on the south side of Moscow, on Marshal Savitsky Street, 20 minutes by bus from the Boulevard of Admiral Ushakov metro station. It costs only 18,000 rubles per month ($288).